To Build A List That [Pays You] To Scale Your Business! Want To Get More Customers Every Day With No Out Of Pocket Costs? Advertising is expensive, you need a way to cover the cost. I’ll teach you a system where people pay you to join your list! Stop chasing customers. Attract Them To You 24/7 With An Easy To Setup Trip Funnel. One of the personal issues I have to work through is self-worth/worth. I've been conditioned to ask 'why would someone pay $5 when they can find it somewhere for free'. This is challenging me in a good way - it simply means I need to put something together that someone will look at on the first step of the funnel and realize this is worth MUCH more. (Just like you mentioned in the training). It's all about the value proposition. I'm Openly Sharing How To Generate Unlimited Self-Financing Leads In This Online Trip Funnel Workshop For ONLY $11! How To Use A TripWire Offer To Get More Consultations! The One Key Tool That Will Save You 50-100+ Hours In Setting Up Your Funnel. How To Make Your TripWire Offer An Instant Purchase Decision. Brian Campbell is a must have mentor.. Joining the tribe will be well worth it. This isn’t just a one way dead lesson. It’s a living breathing community of active entrepreneurs building and sharing what’s working to generate endless leads that pay for themselves! A community with lifetime access to get valuable feedback & support! Not Sure If Your Idea Is Solid? Ask for Help, that's what we're here for! Form valuable connections with other entrepreneurs, consultants, coaches, and small business owners. Awesome stuff Brian! The value i'm getting is insane. I'm still going through the trainings, but I can see how much impact they'll have on the other end. Appreciate it all! The Initial Training Is Only The Foundation For The Real Value Being Provided In The Trip Funnel Workshop. Be One Of The FIRST 10 MEMBERS To Create a Trip Funnel & Get a Personalized Video Analysis Of Your Trip Funnel With My Personal Suggestions For Improvement. Learn From Real Examples Of Real Trip Funnels In Action! Advanced Techniques Revealed Like "One Time Offers" & "Creative Upsells"
This Will Be A Constantly Updated Method As We Refine Our Methods And Learn Even More Powerful Shortcuts! Wow man, so much content its off the hook!!! doing my best to keep up with it and stay present with exercises and mind like water Bruce Lee style in da flow!! Create A Self-Financing Trip Funnel Without Wasting Hours Of Your Valuable Time Trying To Figure It Out On Your Own. Yes! You CAN Google it. And 3 hours later be more confused after they suggested 10 different opinions. Or you can honor your time by learning quickly with all the logical steps laid out for you with links to all the relevant (and often free) resources you'll need. You're looking for a real way to generate more leads for your business in an affordable way. You're A Consultant That Wants To Consistently Fill Your Consultation Call Calendar On Autopilot. You're A Coach That Wants More Authority & More Clients. You're A Small Business Owner That Wants More Customers. You're A Digital Marketer Or Entrepreneur That Wants To Grow A Large Responsive Targeted List That Pays For Itself! Register for my workshop today. 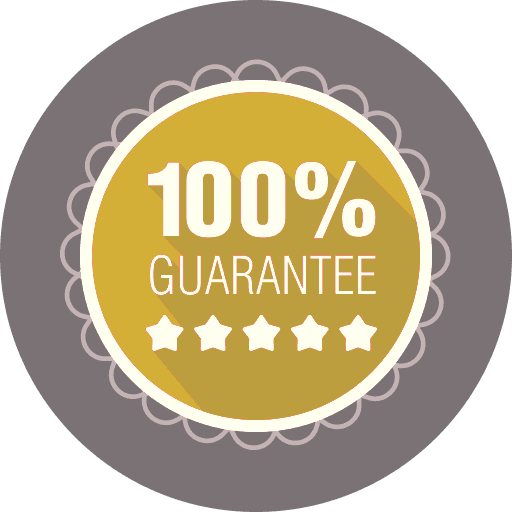 At any time in the next 60 Days, if you aren't totally thrilled with the extensive training, community membership & lifetime case studies...just ask for a refund and I'll refund your entire purchase, completely hassle free! Note: I'm not willing to risk my reputation for $11, you can easily have it back if you don't absolutely love this training. Will This Workshop Really Teach Me To Get "FREE" Leads? Yes! That’s the entire purpose of this workshop! The word “Free” is in quotes because this workshop teaches how to create a low priced up front product (a.k.a. TripWire) to cover the cost of advertising to build your list. Are These Really Targeted, High Quality Leads? The Trip Funnel Process shows you to build a list of actual customers. People who have given you small amounts of money ($5-$20) to learn from you are far more qualified than the average freebie seeker, tire kicker or info moocher! Do I Have To Join The Guru Media Tribe? This is a “preview” lesson from the Guru Media Tribe. It’s simply one of our weekly training lessons that people are currently paying $777/year to learn from. I’m offering it as a way for you to “try us out,” but this is a completely self contained lesson that you can use with or without full GMT membership. I've Never Created Anything Before Online. Can I Do This? The reason why this is so powerful for newer entrepreneurs is that you will learn the entire marketing process in bite sized form. Before you can create a Huge MEGA Package, you first need to learn how to create a complete sales system. If this is your first funnel setup, you’ll soon have all the knowledge to create your next-level irresitable offer! I've Got A Business. How Will This Get Me More Clients? 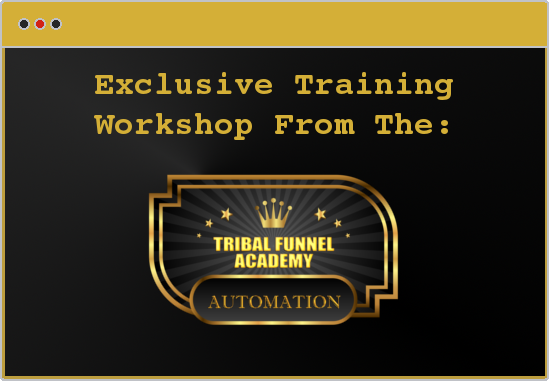 This workshop will show you how to automate many of the things that you’re already doing to get new customers. By translating what already works for you into an online system, you’ll be able to reach more people in less time (imagine getting new clients at 2 am when you’re sleeping). I Don't Have A Business Yet. Can I Benefit From This? You absolutely can. This is the perfect starting point for anyone in the “idea stage” of creating a business. It’s often tempting to get lost in the business building phase. The most important thing you can do for your future business is to ensure that you can build a growing list of prospects. Allow this list to grow so that you have an eager audience to launch your business to when the time comes! Now You Can Afford A Steady Stream Of New Customers Just Like The Top Earning Marketers! For only $11. Easy To Refund. Instant Access. Join Now!